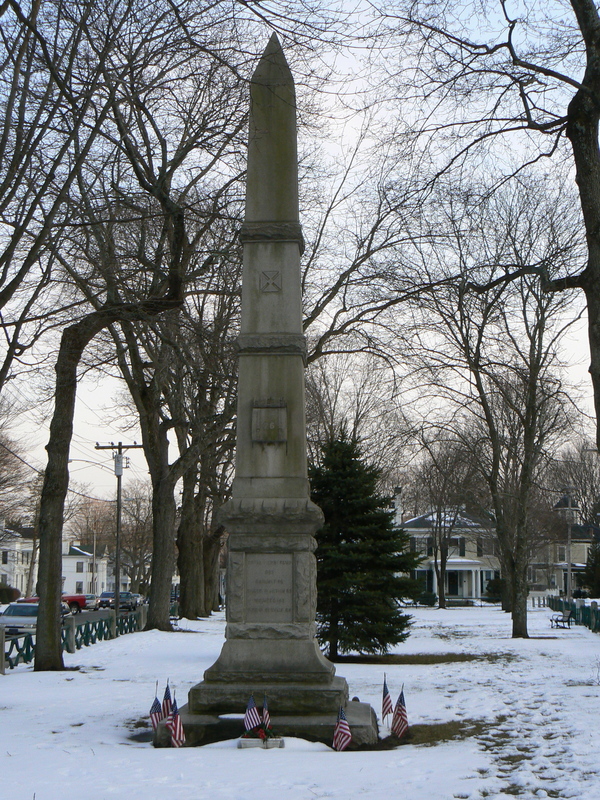 A tall obelisk in the middle of a small Norwich park honors the members of the 26th Regiment, Connecticut Volunteer Infantry, who served in the Civil War in late 1862 and mid-1863. 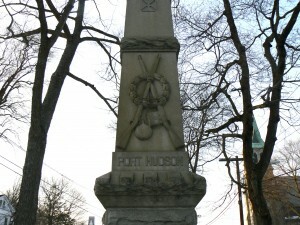 Just above the dedication, the south face also bears the name “Port Hudson” and a pair of crossed rifles with a wreath, symbolizing the regiment’s service in the infantry. 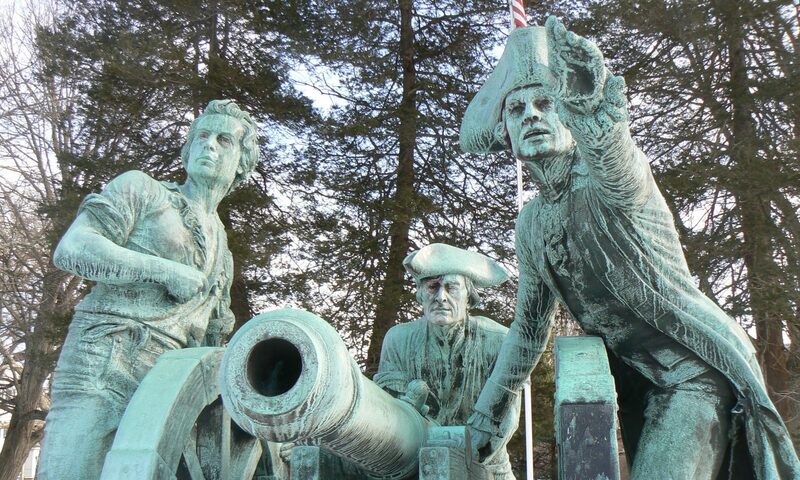 A cross-like symbol appearing on all four sides of the monument is likely a regimental or a corps emblem. 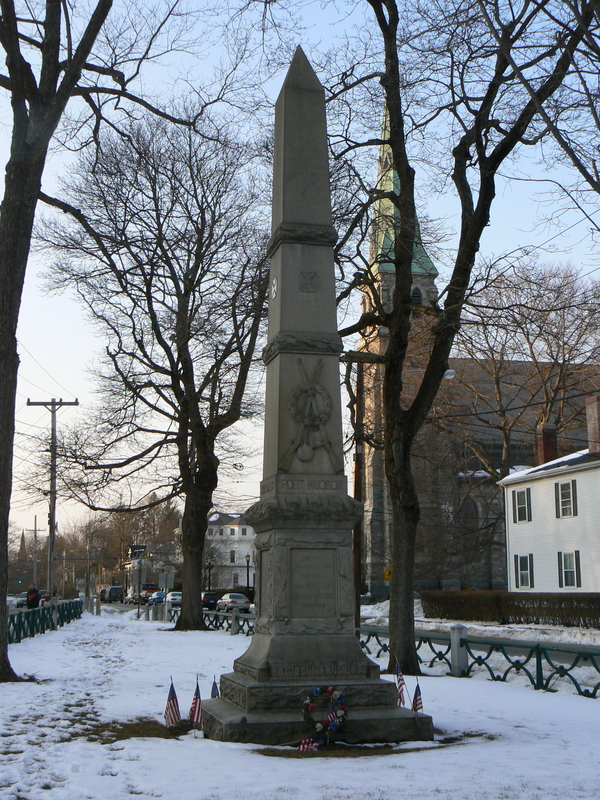 The north face bears some statistics about the unit, listing its original enrollment of 825 members and a breakdown of its 278 casualties: 52 killed in action, 142 wounded and 84 died in service (mostly likely from disease). A regiment comprised primarily of Norwich residents, the 26th’s major engagement was the siege of Port Hudson, La., between May 21 and July 9, 1863. The capture of Port Hudson, together with the capture of Vicksburg, Miss., a few days earlier, gave Union forces effective control of the Mississippi River and provided an important turning point in the Civil War. The 26th was organized in Norwich on Nov. 10, 1862, and arrived in New Orleans on Dec. 16. The unit first served at Camp Parapet, a former Confederate fort north of New Orleans that had been captured by Union forces. 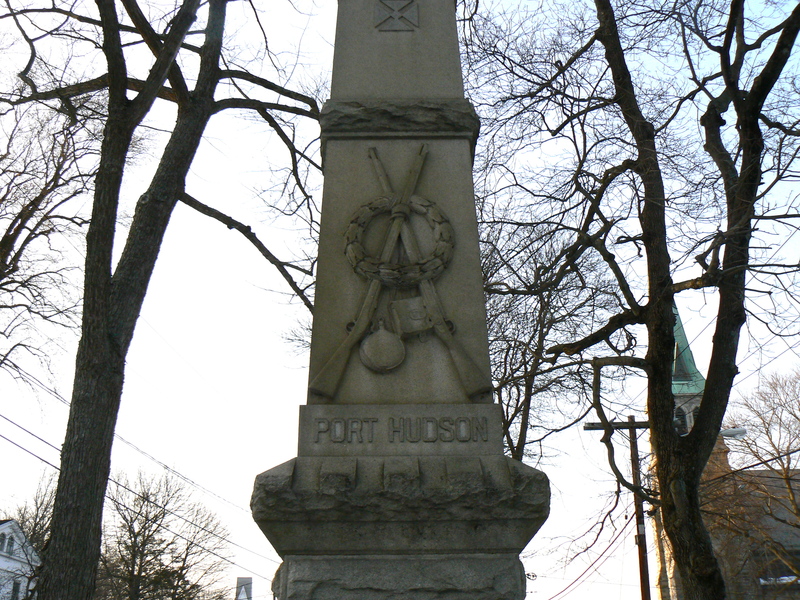 The unit was shifted to the siege of Port Hudson on May 24, and participated in two ill-fated assaults (on May 27 and June 14) that produced no military benefit for the Union, but did create a large number of casualties. When word reached Port Hudson on July 9 that Vicksburg had surrendered to Union forces on July 4, the Confederate leaders at Port Hudson similarly surrendered. The cross shaped emblem on the obelisk is the badge of the Army’s 19th Corps. The official description when this badge was designed was a “fan leaved cross with octagonal center” The 26th Connecticut Volunteer Infantry was created as a unit under the 19th Corps. 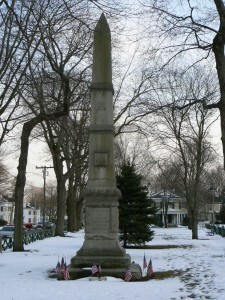 My ancestor fought in the 26th Connecticut, Company E.